Resorts of its age, refinement and historical significance are rare. The classical revival architecture, the interior still replete with the grandiose traditional style of Dorothy Draper, the famous decorator who honed the Greenbrier’s interior, the exterior of perfect walkways carved from the jungle lushness of rhododendrons big enough to swallow children and small animals - its scale and elegance overwhelmed me. Born and raised Southern, I thought I was comfortable with all things Southern. Until I stood in front of The Greenbrier. side note: technically, West Virginia was divided in the Civil War meaning my “southern” classification of it is my own perception/opinion of what corner it best fits into. 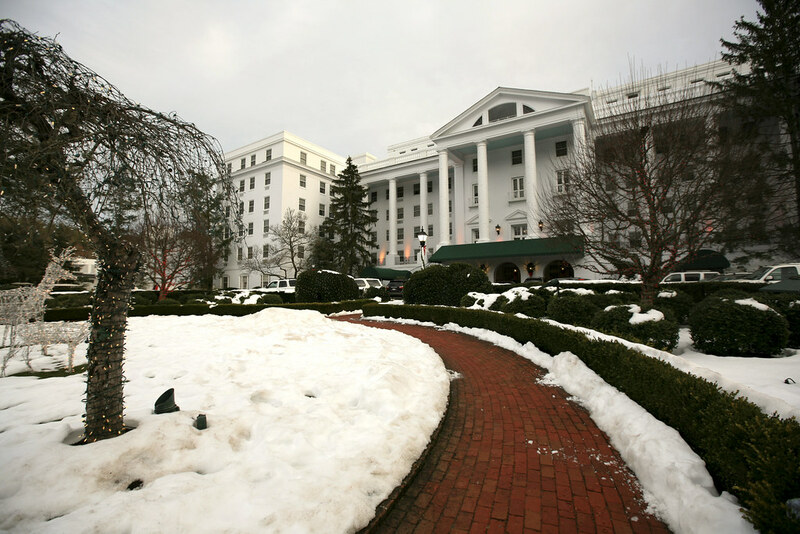 My husband hails from West Virginia, has a sister who married at The Greenbrier, and is familiar with its grandeur. I wasn’t. Nor was I prepared for the awe, even intimidation when he asked if I wanted to go inside. “No, umm, I’ll just snap off a few shots from out here.” What if I went inside and tripped on a priceless rug, slinging the camera gear into a priceless urn, landing directly in front of the Main Dining room? In the Main Dining room coats and ties for the gentlemen and ladies’ finery, still reign. I wasn’t dressed properly for either a humble stumble, or lunch. Wow, this is a very amazing hotel.